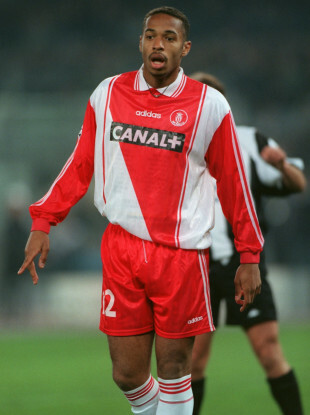 Thierry Henry during his playing days at Monaco. MONACO, LANGUISHING 18TH in Ligue 1, have sacked manager Leonardo Jardim, who led them to a French title in 2017. The club from the principality would not comment on a replacement, but their former player Thierry Henry has been heavily linked to the job. This summer, Thomas Lemar, Joao Moutinho and Fabinho followed earlier departures Kylian Mbappe, Benjamin Mendy, Bernardo Silva, Tiemoue Bakayoko and Valere Germain out of the club in lucrative transfers. Monaco lost their last game 1-0 at home to humble Angers. They haven’t won in Ligue 1 since their opening match and have lost both their Champions League group games. I would like to salute Leonardo with the utmost respect for all the work done,” AS Monaco vice-president Vadim Vasilyev said in a statement. Monaco’s next match, after the international break, is on 20 October away to Strasbourg in Ligue 1. Email “Henry favourite for Monaco job as manager Jardim is sacked ”. Feedback on “Henry favourite for Monaco job as manager Jardim is sacked ”.